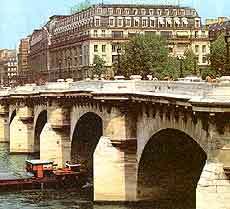 The River Seine flows roughly westwards through Paris dividing the city both geographically and culturally. When facing the sea, the Left Bank (Rive Gauche) is the area south of the Seine. The Left Bank is the traditional centre of culture and learning in Paris. Here the quais are lined with booksellers and artists. 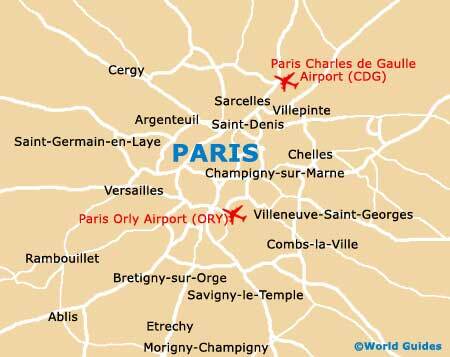 On the Left Bank, you will find Musée d'Orsay, les Invalides, Boulevard Saint Germain, Boulevard Saint Michel and the world-famous Eiffel Tower. Also on the Left Bank are two of Paris' best parks for children, the Jardin des Plantes and the elegant Jardin du Luxembourg. The Right Bank (Rive Droite) is the part of Paris north of the River Seine and is opposite the Left Bank and home to elegant shopping areas, such as Place Vendôme and there are many places of interest including the Arc de Triomphe, Place de la Concorde, the Opéra Garnier, the Jardin des Tuileries, the Louvre, and of course, the famous Champs Élysées. The Latin Quarter derives its name from the fact that up until the revolution in 1790, students and professors and anyone connected with the colleges, were only allowed to speak Latin. This is a lively and bustling district full of cafés and bars, academic book stores and art. Places of interest include the Institut du Monde Arabe, Musée de Cluny, the Muséum National d'Histoire Naturelle in the Jardin des Plantes, the Panthéon and the Sorbonne. The Marais, situated on the Right Bank in roughly the 3rd and 4th Arrondissements, was once a marshland and is a quartier which has retained many of its tiny streets and hints at how old Paris looked. This area was once a centre of high culture. Baron Georges-Eugène Haussmann, commissioned by Napoleon III, was responsible for the significant urban planning project of 1852 to 1870 which changed the look of Paris forever. The 20 Arrondissements of Paris date from this time.